Around this homeschool, reviewing art-related items is always a big hit, and Gryphon House Books-- Global Art: Activities, Projects, and Inventions From Around the World book is no exception. 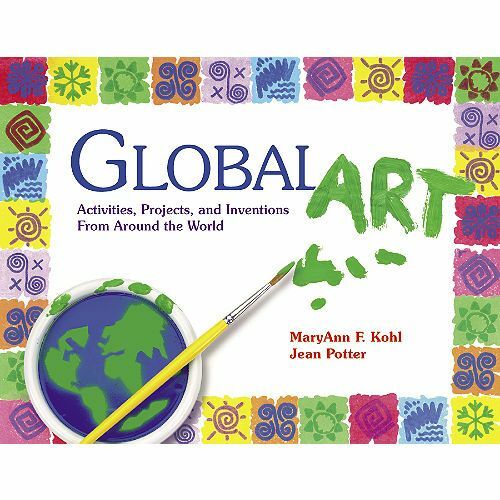 It has been very fun to explore and review this global geography-based art book by authors Jean Potter and Mary Ann F. Kohl. 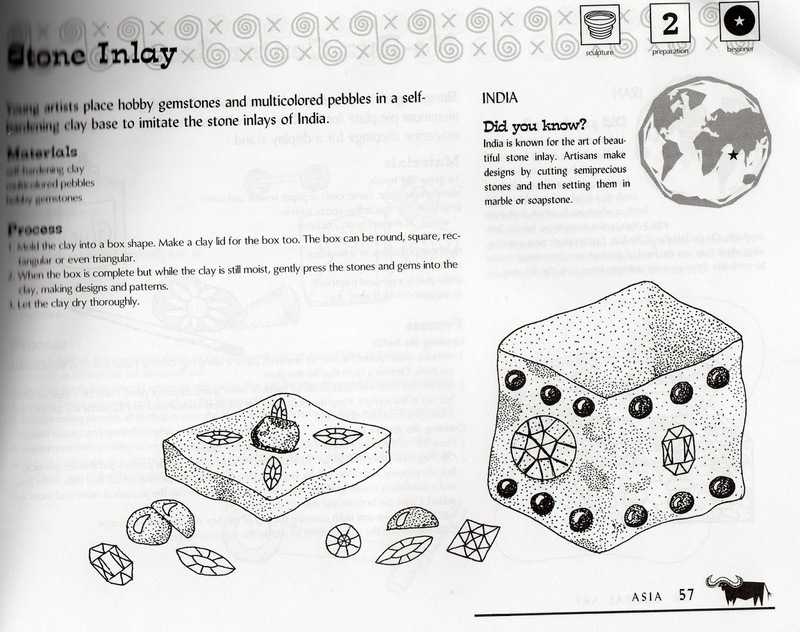 The soft-cover, illustrated guide goes beyond just art projects. This great resource has won numerous awards, including Parent's Guide to National Media, Benjamin Franklin Award, and National Parent Publications Award, and I can see why. Each week, I actually allowed Abbey, my rising 5th grader, to pick out a country from the table of contents of Global Art that she would like to learn more about. 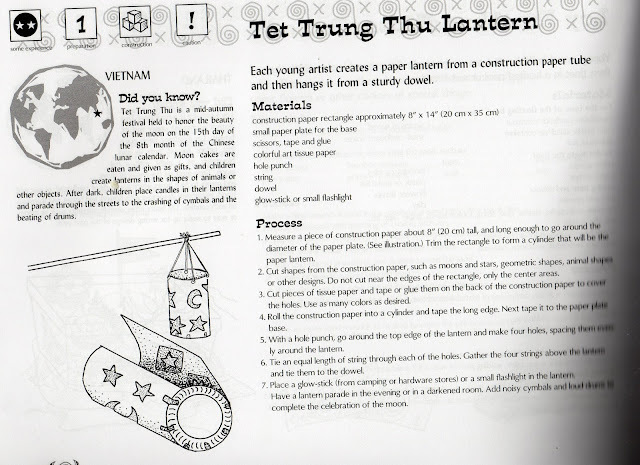 Her first choice was Vietnam and the Tet Trung Thu Lantern. We found Vietnam on the map, read the “Did you know?” section on the page, and read through all the instructions to our first project before beginning. What a fun process this was! Truly part of the fun and learning of art is not just the final project, but the actual process and techniques used to get to that end goal. It allowed Abbey to use her imagination as she decided which shapes to put on the side of her Tet Trung Thu lantern. For the “candle” inside the lantern, we used a glow stick from the dollar store. The second project was Stone Inlay from India. Using self-hardening clay that we had on hand in our craft drawers, Abbey and her best friend Claire were able to create some beautiful creations with clay and water and decorative stones we found. Are you having fun yet? We are! 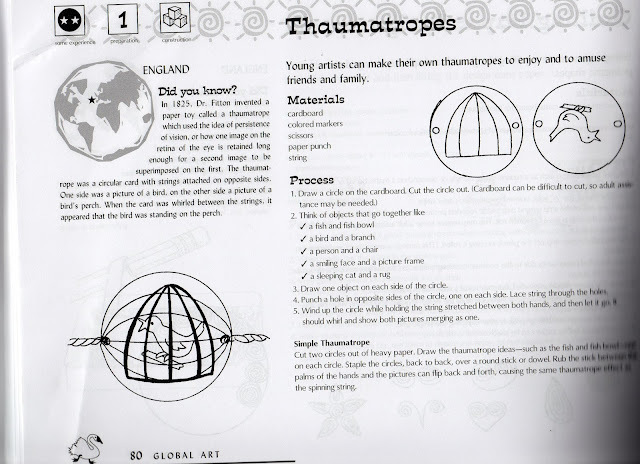 A third and equally fun project Abbey chose to complete were Thaumatropes from England—these are those fun cartoon-type drawings similar to a flip book. Okay, just one more to share (although we did several others so far): a Weaving Sculpture from Ecuador. This one I will admit, was a whole of lot gooey, ooey, messy fun to do, but the end result was not exactly what we had hoped. We still enjoyed learning about this craft, as the child we sponsor through World Vision is from Ecuador and Abbey was excited to think she might be creating something that Mirian (our sponsored child) may also enjoy doing. 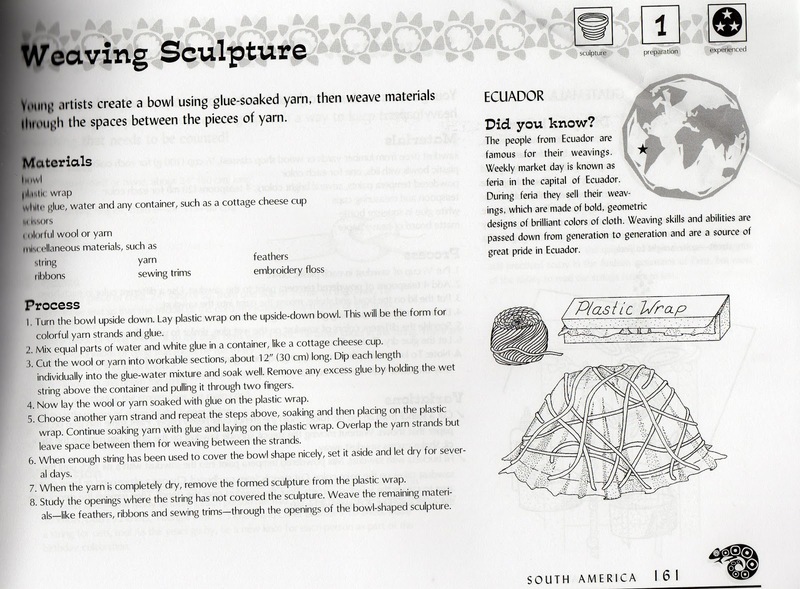 Global Art: Activities, Projects, and Inventions From Around the World from Gryphon House Books can be ordered for $16.95 here. It is recommended for ages K5 - Grade 5, but both slightly younger and slightly older children will enjoy the processes and art creations found within this gem. Want to read more reviews before deciding? Click the blinking banner below! wow - those are really cool pictures! Nice job on your projects!